This past week Representative Bill Posey entered a statement by CDC whistleblower Dr. William Thompson regarding fraud and the CDC MMR vaccine studies into the Congressional record. This should have been headline news, but it was largely ignored and not reported in the mainstream media. Here is the CSPAN coverage and the text of the statement by Dr. William Thompson of the CDC. My primary job duties while working in the Immunization Safety Branch from 2000 to ’06 were lead or co-lead three major vaccine safety studies—the MADDSP MMR Autism Cases Control study was being carried out in response to the Wakefield Lancet study that suggested an association between the MMR vaccine and an autism-like health outcome. There were several major concerns among scientists and consumer advocates outside the CDC in the fall of 2000 regarding the execution of the Verstraeten study. One of the important goals that was determined up front in the spring of ’01 before any of these studies started, was to have all three protocols vetted outside the CDC prior to the start of the analyses so that consumer advocates could not claim that we were presenting analyses that presented our own goals and biases. We hypothesized that if we found statistically significant effects at either 18 or 36 month thresholds, we would conclude that vaccinating children early with MMR could lead to autism-like characteristics or features. We all met and finalized the study protocol and analysis plan. The goal was to not deviate from the analysis plan to avoid the debacle that occurred with the Verstraeten thimerosal study published in Pediatrics in ’03. At the September 5th meeting, we discussed in detail how to code race for both the sample and the birth certificate sample. At the bottom of Table 7 it also shows that for the non-birth certificate sample, the adjusted race effect statistical significance was huge. All the authors and I met and decided sometime between August and September ’02 not to report any race effects for the paper. It has been known since 2014 that Dr. Thompson has turned over many documents to Congressman Posey. Congressman Posey, however, does not chair any of the committees that have the authority to convene a meeting and have Dr. Thompson testify. Are There Enough Honorable Members of Congress to Act on This Cover-up? 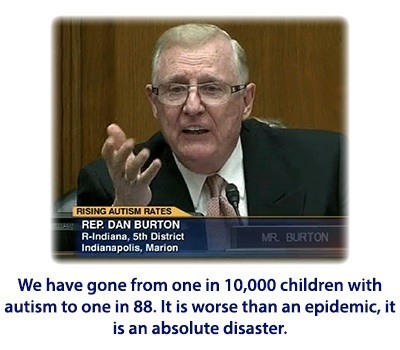 Congressman Dan Burton (now retired) testifying at the last Congressional hearing on autism back in November of 2012. Image from CSPAN. Now that the fact that the CDC has allegedly committed fraud and attempted to destroy evidence linking the MMR vaccine to autism, will the public become enraged enough to demand that there be a Congressional hearing to investigate this alleged fraud? Will be there enough honorable members of Congress willing to step forward and go against the powerful Pharmaceutical Industry and their incestuous relationship with the CDC to demand a full investigation? Should we trust this agency to oversee vaccine safety? Also, can the public trust Congress when it comes to vaccine safety? In 1986 the U.S. Congress passed legislation removing all legal liability for injuries and deaths due to vaccines for pharmaceutical companies. These vaccines cannot survive in a free market, and when the lawsuits became too numerous, they blackmailed Congress by threatening to stop making vaccines unless Congress gave them total legal immunity from any harm caused by vaccines. This law has been upheld by the Supreme Court. 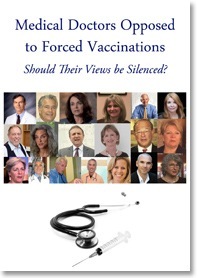 What does the CDC Whistleblower Know About Vaccine Studies and Fraud? Will Congress finally take action? The only way Dr. Thompson’s story will be heard, under oath, is at a Congressional hearing. Congressman Jason Chaffetz is going to hold hearings on this matter this fall and invite Dr. Thompson to testify. It is important that we all contact the Congressional Oversight and Reform Office (reporttoogr@mail.house.gov ) and request that he subpoena Dr. Thompson. Dr. Thompson will not be able to speak freely unless it is under subpoena. Why, you may ask does Dr. Thompson need to be subpoenaed? Because the CDC will not let him speak out without a subpoena.